Dr. Jennifer Ashton is ABC News’ senior medical contributor. 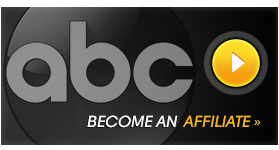 As part of the ABC News Medical Unit, she reports on major health and wellness issues across all ABC News platforms. Dr. Ashton is a Board-certified Ob-Gyn. A graduate of Columbia College, Columbia University, she received her medical degree from Columbia University, College of Physicians & Surgeons, where she was elected class president for four consecutive years. Upon graduation, she was awarded the prestigious Bartlestone Award in Pharmacology. Dr. Ashton received her post-graduate training in women’s health and surgery at St. Luke’s-Roosevelt Hospital Center in New York City, an affiliate of Columbia University’s College of Physicians & Surgeons. She served as Administrative Chief Resident and was awarded Chief Resident of the Year upon completing her residency. She is currently enrolled in the Columbia University College of Physicians & Surgeons Institute of Human Nutrition Master’s Degree Program (anticipated completion 2015), making Dr. Ashton one of the only MDs with a national media platform who also has a degree in Nutrition. Dr. Ashton is a Fellow of the American College of Obstetricians and Gynecologists. Part of the attending staff of Englewood Hospital and Medical Center in Englewood, N.J., (an affiliate of Mt. Sinai School of Medicine), she is one of the few national TV medical experts with an active clinical practice, where she treats women of all ages for medical and surgical gynecologic conditions, and manages primary care issues such as depression, high cholesterol and obesity.